Shane has over 35 Years experience in the Stock & Station Industry starting out as a junior in the livestock department of W Richmond Limited, Hastings Here he gained a grounding in the meat industry before moving on to Wrightson NMA. Based in Rotorua he progressed from Trainee agent in a Dairy area through to specialising in Deer & Goats. From Wrightson’s the next step was to an independent company Australasian Livestock Brokers, based in Taupo specialising in the Deer & Goat Industries. Working as an agent. Shane also coordinated live exports of Goats to Australia, Scotland & France. 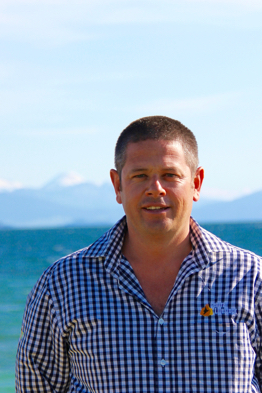 Shane then joined Elders Pastoral, based in Taupo as an agent primarily dealing with Sheep Beef & Deer. After 5 years with Elders Pastoral Shane made the bold move of setting up Central Livestock Limited in 1995. 20 Years later Shane is proud to have stood the test of time in what is an ever-changing and challenging industry. Shane runs Central Livestock Limited together with his wife Liz. Together they have built an enthusiastic team of agents and support staff. Shane continually strives to improve and grow the company embracing technology and new concepts in addition to plain good old fashioned service. A family man Shane and Liz have two children at college and although his hair is silver he is young at heart leading an active outgoing lifestyle. Liz’s background is in marketing and administration. As well as being a busy mother of two, Liz is an active sports person and is also a fitness instructor and personal trainer. Ross joined Central Livestock in 2003. Since then he has become an integral part of the business. Ross is from a farming family in Taumarunui. Ross didn’t wait to leave school before starting to farm in his own right, attending our sales at the age of fourteen. Upon leaving school Ross set about farming lease blocks. Ross also built up one of the top Polled Dorset Sheep studs in Australasia and was New Zealand’s largest supplier of Polled Dorset Rams. Ross has progressed from a young client of Central Livestock to our most dynamic agent. In his 12 years with Central Livestock Ross has built large client base in the King Country and further afield. Having judged at various livestock shows Ross has a natural ability to judge and work with livestock. In this business in addition to being a people person you have to earn the trust of your farming clients through integrity and keeping to your word which is a quality Ross is known for. In addition to servicing the Sheep, Beef and Dairy requirements of his clients Ross has a passion for stud stock and his judgement when selecting Bulls & Rams is well respected. Anton joined Central Livestock in 2007. Coming from a dairy background Anton spent seven years sharemilking and three Years managing a dairy farm in the Waikato. The next move was to spend fifteen years owning and running drystock properties. Three years in Reporoa and twelve years with a Sheep & Beef Property in the King Country. 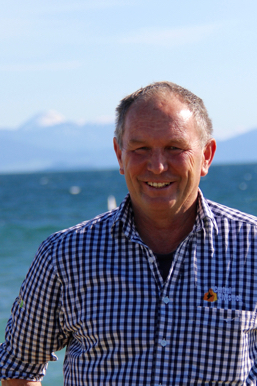 Anton has been based in Taupo since selling the King Country property, during this time his livestock business has grown with a large client base in the Central Plateau Region and outlying areas. 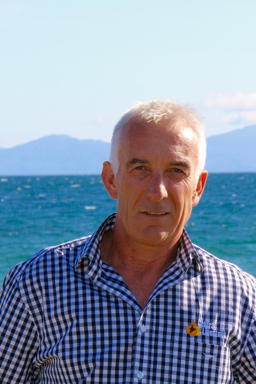 Anton also and runs a fencing contracting business based in Taupo. Anton brings to Central Livestock a wealth of knowledge in all classes of livestock and farming. Armed with his friendly and outgoing nature Anton’s focus, is to provide top service to the increasing number of dairy farmers in the Central North Island.